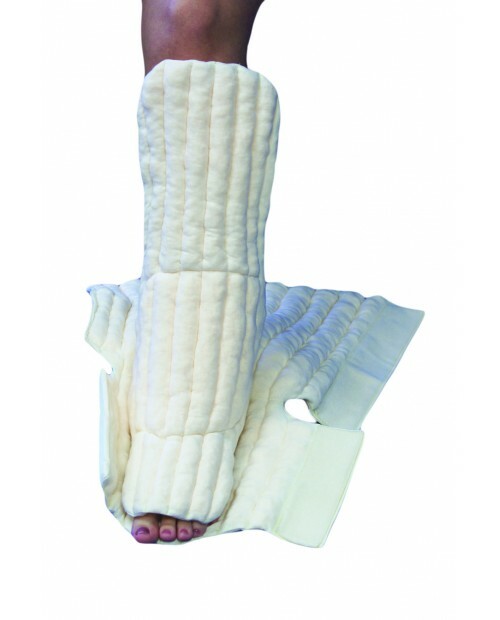 A Foot & Lower Leg Wrap JoViJacket is worn over the Foot & Lower Leg Wrap and enhances the effectiveness. 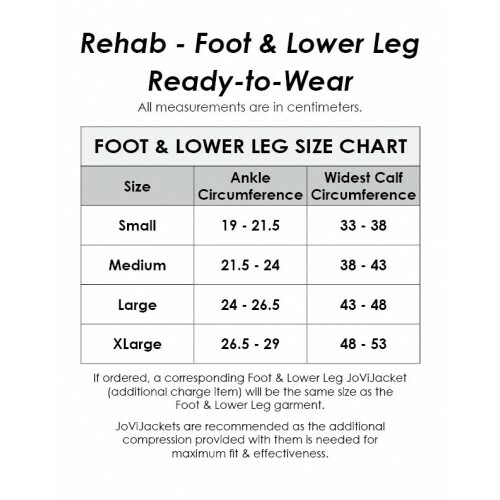 Pairing the two items together is highly recommended to gain maximum fit & effectiveness. 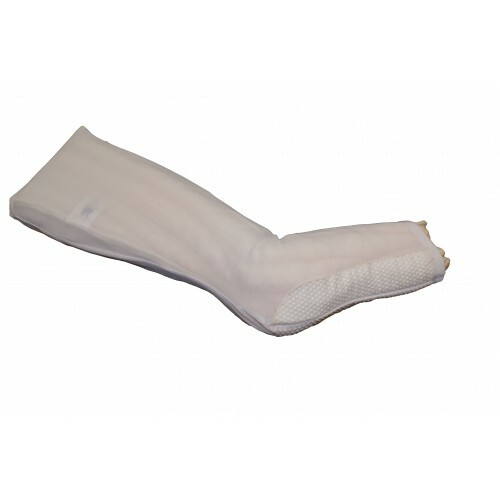 Using a JoViJacket over the corresponding garment can be an easy alternative to short-stretch bandaging.